ACCUNIQ has developed extremely accurate body composition analysis using Bioelectrical Impedance and our own advanced engineering excellence. Measurements have been validated to DEXA measurement known to be the most accurate method for body composition assessment. ACCUNIQ uses advanced BIA (Bioelectric Impedance Analysis) technique. Body Composition analysis offers providers the in-depth data needed to improve diagnosis and treatment. Provide an immediate response to customer inquiries, how to use the productand simple theoretical explanation. ACCUNIQ uses advanced BIA (Bioelectrical Impedance Analysis) and its proprietary engineering innovations that correlate highly with DEXA measurements. BIA is safe and sends a small electrical current through the body to measure resistance to current flow. Body Fat is a poor conductor of current while muscle and water are good conductors. Healthy people maintain a constant rate of between body compositions such as water, protein, fat, minerals. When the balance in body composition of our bodies is broken, one can be exposed to either the risk of metabolic diseases, heart disease, diabetes which are caused by obesity or edema caused by body water imbalance. Accurate obesity diagnosis can only be performed when the amount of weight and body fat are considered together. 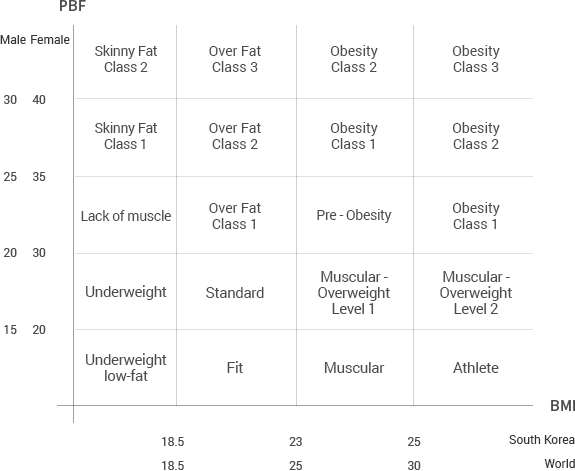 Muscular people such as athletes or fitness trainers are overweight, but their body fat percentage does not exceed the average percentage. ACCUNIQ technology includes analysis of total body water, intercellular and extracellular water using a range of frequencies (1KHz-1MHz) Results are useful to providers to determine a variety of disease states and afflictions. 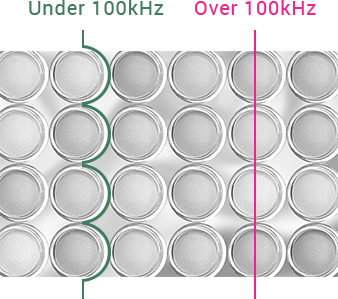 A frequency lower than 100kHz is utilized to measure outside the cell as it flows along the cell membrane, and high frequency of 100kHz and above is utilized to measure the total amount of water as it flows through the cell membrane. 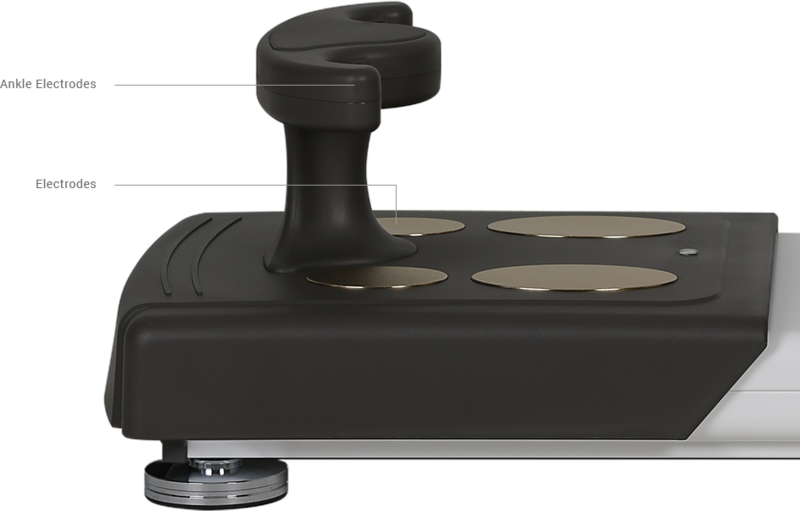 ACCUNIQ uses an 8 touch-sensitive electrode method that is complex yet precise. ACCUNIQ analyzes body composition by placing 8 electrodes on both hands and feet or both hands and ankles respectively. As a way to measure body composition, there are various methods such as computed tomography (CT), magnetic resonance imaging (MRI), Water Density Method, etc. 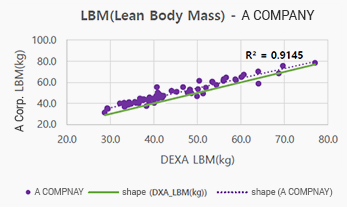 However, as dual energy X-ray absorptiometry, DEXA provides more precise body fat analysis based on three components – fats, muscles and bones, and it is safe in terms of the radiation exposure. Hence, DEXA is currently believed to be the gold standard. 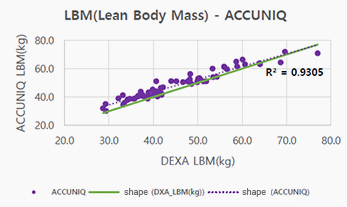 ACCUNIQ had conducted clinical validation for accuracy with DEXA in clinical professional body, IHT which is located in Texas, and the results have shown that the accuracy of ACCUNIQ body fat measurement showed a higher correlation to DEXA than competitors. The closer the correlation coefficient (R2) in the graph is to 1, the higher the agreement between the DEXA body fat mass (LBM) and the body fat mass (LBM) measured by each BCA instrument. The correlation coefficient (R2) of ACCUNIQ was 0.93, which was higher than that of Company A (0.91) and Company B (0.85), which proved its accuracy compared to DEXA, a gold standard of body composition analysis. 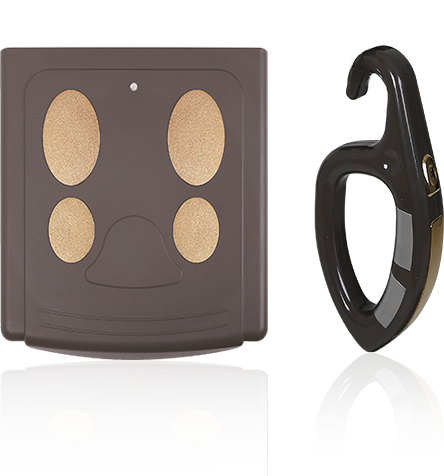 ACCUNIQ provides unique ankle electrodes that allow users to conveniently measure body fat without removing socks. 05 Why does my body fat percentage increase when I measure right after a shower? Since body fat level using BIA measures the body water first, the measurement could be slightly inaccurate in a condition where the body water is affected. Same issue may occur after an exercise or sauna. Please follow the recommended measurement instructions for accurate measurement. 04 Is there any case impossible to measure? Anyone with metallic material, medical electronic equipment such as Pace-Maker, defibrillator, stent, metal suture in the heart and great vessel implanted in their bodies are not allowed to use the body composition analyzer as it can cause problems with the device. 03 How accurate does it measure visceral fat area? Abdominal fat measurement methods including magnetic resonance imaging (MRI), Computed Tomography (CT), Dual-Energy X-ray Absorptiometry (DEXA), Bioelectrical Impedance Analysis (BIA), and visceral fat area are generally evaluated via CT of L3 ~ L5 position or MRI image. ACCUNIQ has analyzed the correlation of visceral fat area by using CT and cross validation for verification of abdomen assessment. The results have shown a highly significant correlation coefficient of 0.942. 02 Is it safe for a pregnant woman to use the device? Until now, there have not been any known risks related to the use of BIA device by a pregnant woman. However, it is difficult to proceed with clinical trials targeting pregnant women since there is no relevant research. Thus, we recommend pregnant women to just measure their weight. In addition, it is difficult to get an accurate measurement due to the various physiological changes which occur in a woman’s body during pregnancy. 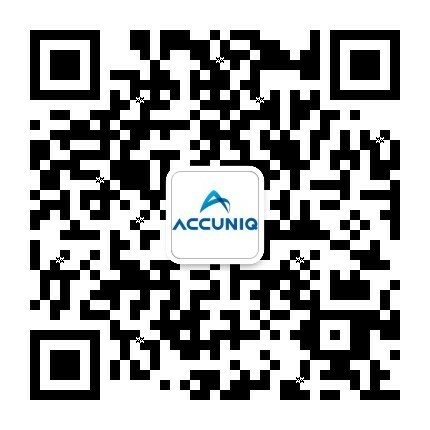 01 What are the advantages of ACCUNIQ’s BIA compared to other devices? AACCUNIQ body composition analyzers are simple and convenient systems that completes all measurement processes within a minute. Its accuracy is also proven due to its high correlation to clinical comparison with the median dilution method and DEXA which is known to be the gold standard in body composition analysis. Furthermore, in conjunction with ACCUNIQ blood pressure monitors, the results can be exported, thus allowing comprehensive health analysis. right after taking a shower or bath.